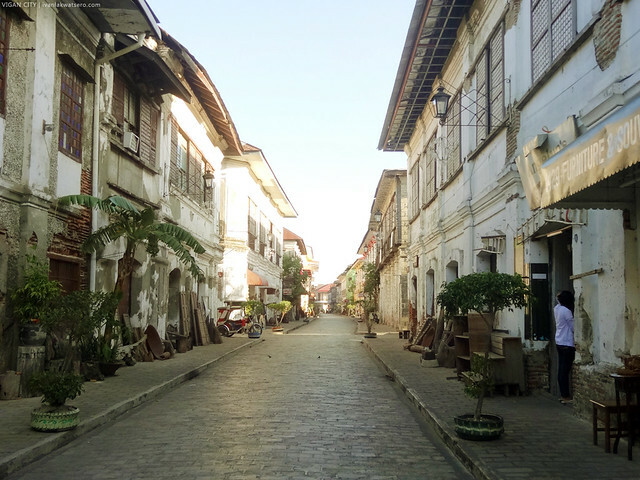 On the last leg of our Ilocos Adventure, the two of us found ourselves in the old districts of Vigan. Not only did we see the aged houses of Calle Crisologo, but we also witnessed, accidentally, a fun and colorful local fiesta. Swerte! Aside from that, we also passed by a huge church in the nearby town of Sta Maria. 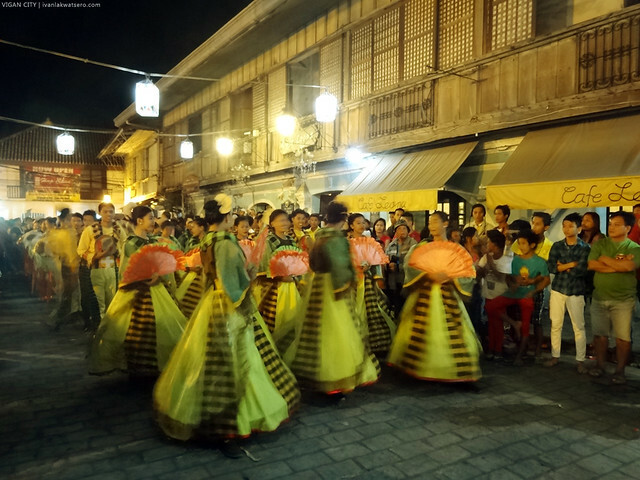 This post is the 4th and last part of my Ilocos Blog Series. 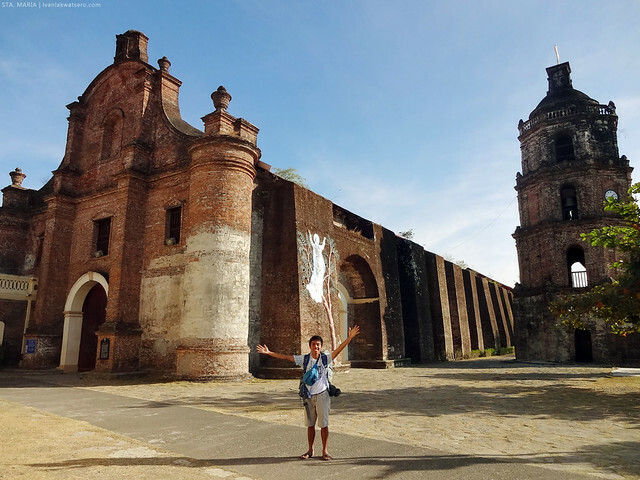 For the Pagudpud leg of the trip check this link, for Burgos-Bangui leg of the trip click this link, and lastly, for the Laoag-Paoay-Batac part of the trip follow this link. 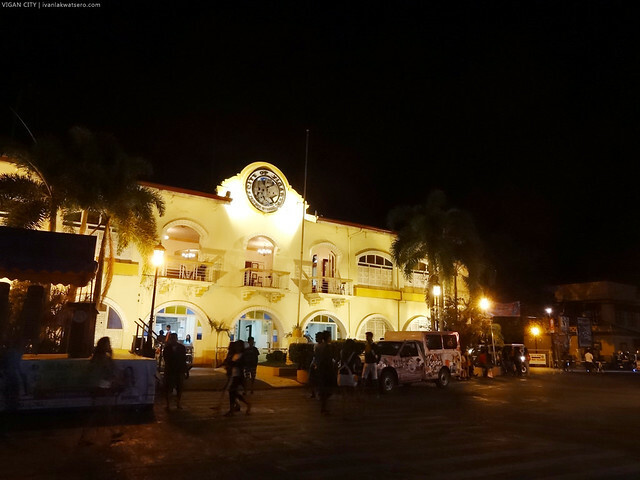 After three days of going through and around the well known places and not very well known places in Ilocos Norte, we finally came to Vigan City, the capital of Ilocos Sur. Sa wakas, we entered the southern leg of our Ilocos backpacking trip. It was past 6 in the evening when we got in the central plaza. There were so many people, loud sounds were being played, and colorful lights illuminate almost every aged structure around the place. It appears that something was going on, and we're totally clueless about it. The clueless us ignored this hullabaloo and proceeded to Green R Hotel to check in. Located near the public market and about 10 mins walk to heritage town, this budget hotel is the cheapest lodging place in Vigan perfect for the kuripots like us. Though I have to stress out the this is really a budget hotel, don't expect any special pampering once checked in. After we settled in, we went out again to look for something to eat for dinner. We were supposed to ride a trike back to plaza but opted to walk instead. Pano ba naman kasi, siningil kami ng 80 pesos nung trike na nasakyan namin from plaza to public market, e ang lapit lang naman, epal siya. 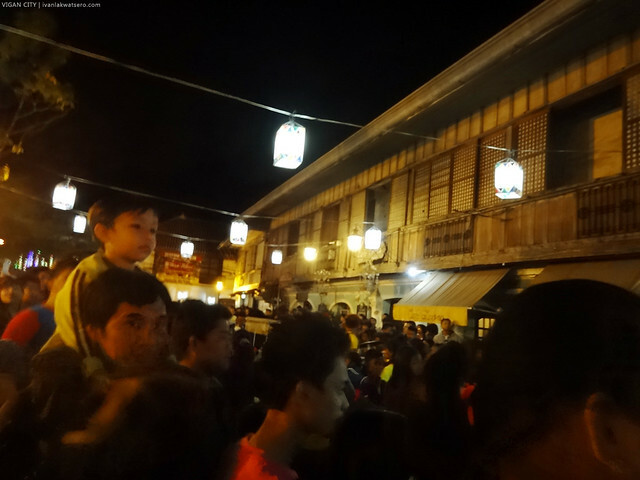 Through the dark and unfamiliar streets of Vigan, we reached central plaza by following the direction where trikes are coming from. The festive vibe was still there and the people multiplied when we got back in the plaza. Clearly, something was going on, pero clueless pa rin kami. Until we saw people heading towards Calle Crisologo. We became curious and headed there as well. Eventually, we found ourselves lining up on one side of Calle Crisologo. There was a parade. People were cheering, and drums were beating. 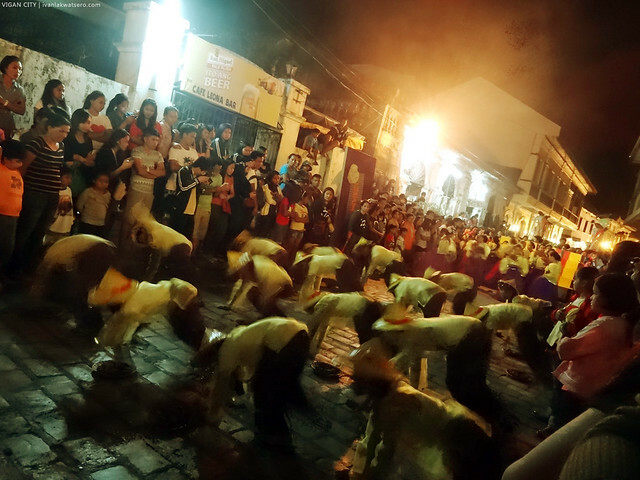 And then I heard them shouting, "Vigan Longganisa Festival." Ahh, only then I realized, Vigan City was in Longanisa Festival mode. We were stationed right across Cafe Leona. We were supposed to have dinner there, but can't cross Calle Crisologo because of the human barricade. This leaves us with no other choice but to wait until the parade finishes. Oh great, the parade just got started. 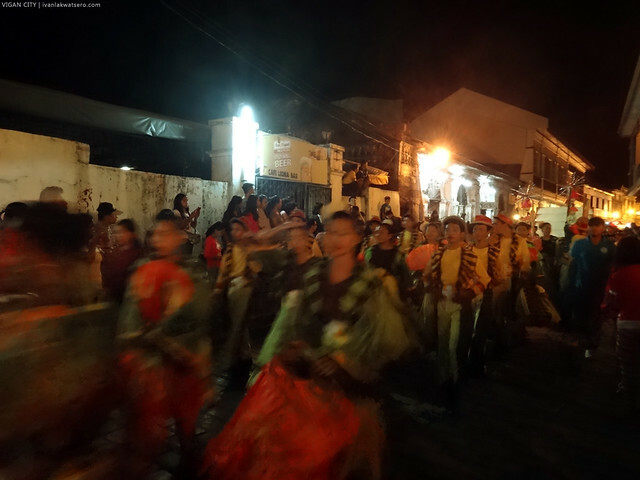 it's a street dance parade of different schools from different barangays in Vigan City. We enjoyed watching the street dance parade to the point that we forgot we were hungry. Many, if not all, contingents are youngsters and students from different schools from different barangays in Vigan City. Since this is Longanisa Festival, their performances focus on the art of preparing the local longanisa. May mga nagcho-chop ng fake pork, then nilalagyan ng fake garlic, and then finally nilalagay sa fake na longanisa casing, nakakaaliw panoorin. They're also shouting the name of St. Paul, the city's patron saint. The parade lasted for about an hour and we enjoyed it big time. As soon as the celebration ended, the crowd that filled Calle Crisologo that night instantly cleared up. As in naiwan na lang ang mga nagsasarang stores along Crisologo street. And while the old town is closing down, we had dinner at Cafe Leona. Calle Crisologo during the night. The busy stores and tourists of the day vanished. After dinner, we went outside again only to be surprised by the nighttime Vigan town. It was our first time to witness the old town in this state—silent, inactive, and almost empty—nevertheless still the charming place I ever knew. 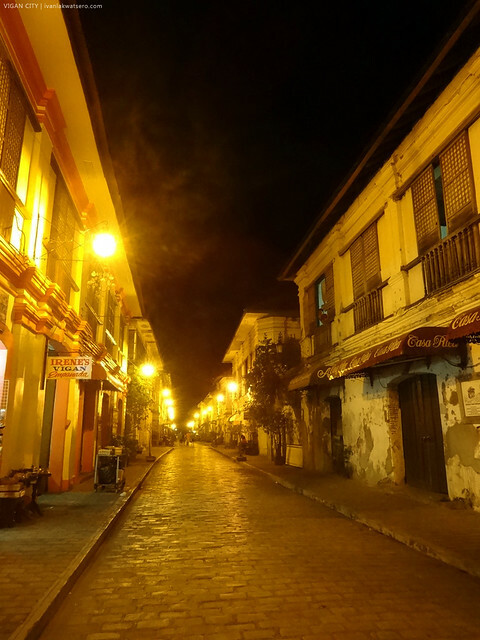 Vigan during the night is a total different experience compared to the Vigan during the day that we used to know. The place was very picturesque but the damn cold night made us want to head back to the comfort of our room and stay there for the rest of the night. So after just a few snapshots, we strode back to our hotel room. 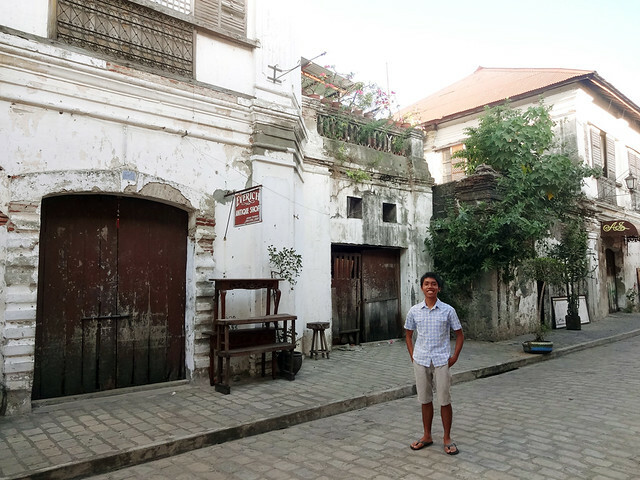 Came the fourth day (last day) of our Ilocos Trip, our goals were set to visiting the well preserved heritage houses that line Calle Crisologo, which make up the Old Town Vigan (a UNESCO World Heritage Site), as well as the other interesting sights found in the city. 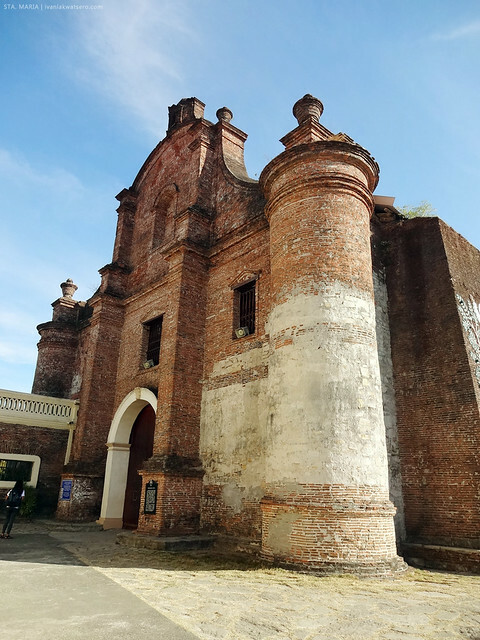 We're also targeting to visit another church that is also enlisted as a World Heritage Site by UNESCO, alongside Paoay Church in Ilocos Norte. The provinces of Ilocos Norte and Sur are home to three World Heritage Sites enlisted by UNESCO, lahat nadaanan namin sa trip na ito! Good morning sunshine! Good morning old town. We began our day by going back to old town to look for a place to have breakfast. It was still too early in the morning, and everyone seems to be just starting their day. 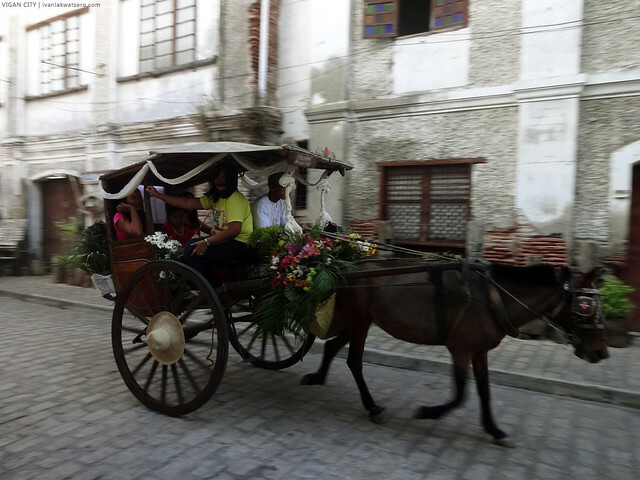 No other vehicles can run down the length of Calle Crisologo but the traditional Kalesa. Sila ang bida ng kalsada sa Vigan. 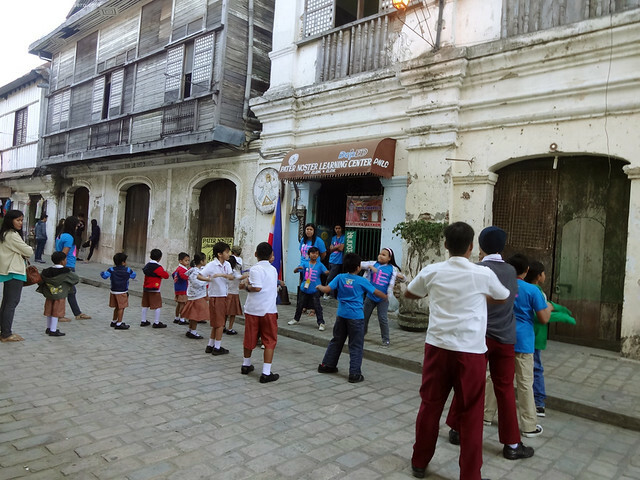 children having their morning exercise in Calle Crisologo. Luckily, we spotted Aniceto Mansion already open at 6 in the morning. It's a heritage house that has been converted to hotel and restaurant. 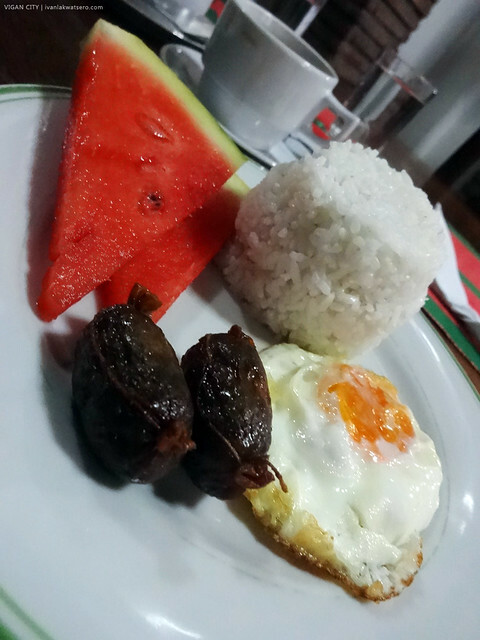 When in Vigan, what else should we ask for breakfast? Naturally, Vigan longanisa. After breakfast, we toured around some interesting sights in the city. From plazas to churches to an old bell tower and a zoo that's open for everyone. All these can be reached either by foot (except for the zoo that has to be triked), by trike, or by kalesa. 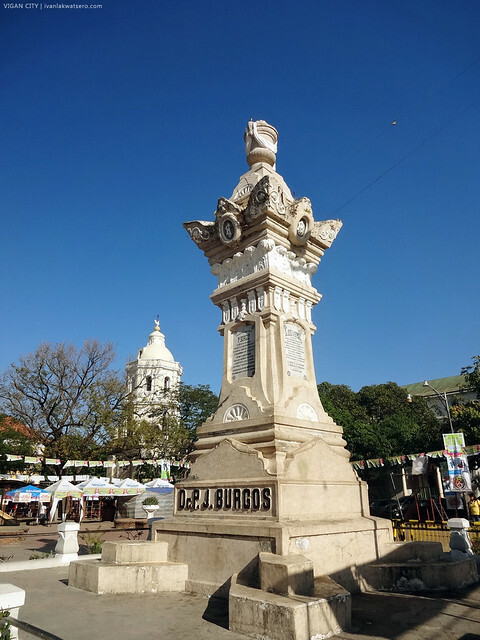 Centerpiece of Plaza Burgos is a lovely monument that is built to honor Padre Burgos, one of the 3 martyr priests of GOMBURZA. St. Paul Metropolitan Cathedral. Notice that its belfry is built separately from the main church building. 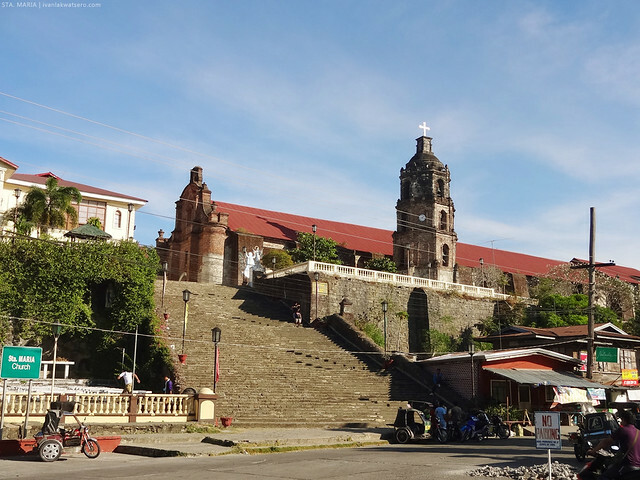 It's a popular architectural feature in most, if not all, churches in Ilocos provinces to keep the main church building from devastation if ever the tower falls down in the event of an earthquake. 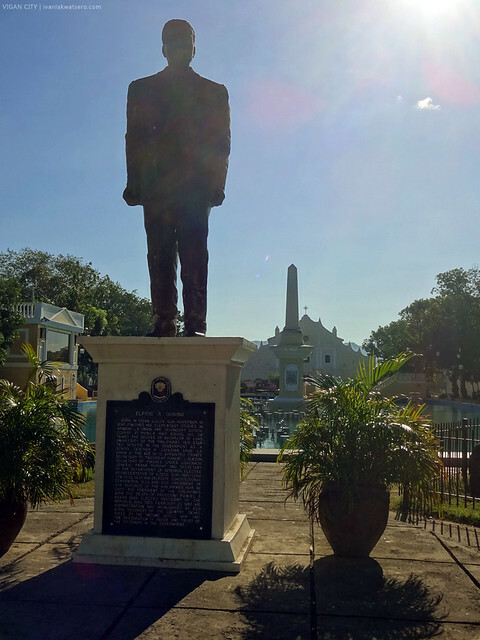 A monument to honor one of the most prominent sons of Vigan, the 5th president of the Philippines, Elpidio Quirino, is built at the central plaza of the city. 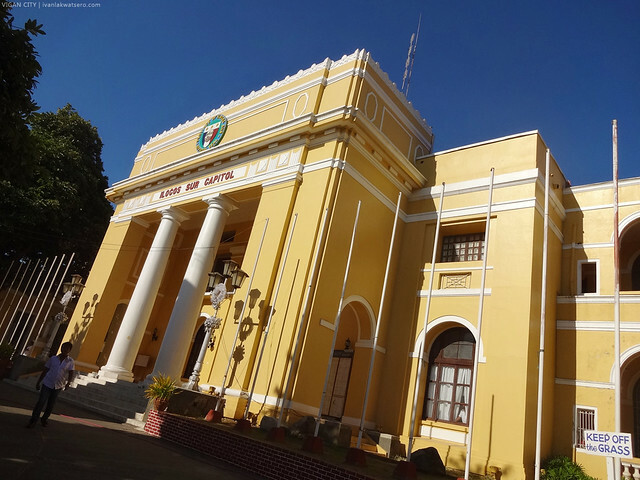 Provincial capitol of Ilocos Sur. It looks great during the night with all the colorful light illuminating the facade. 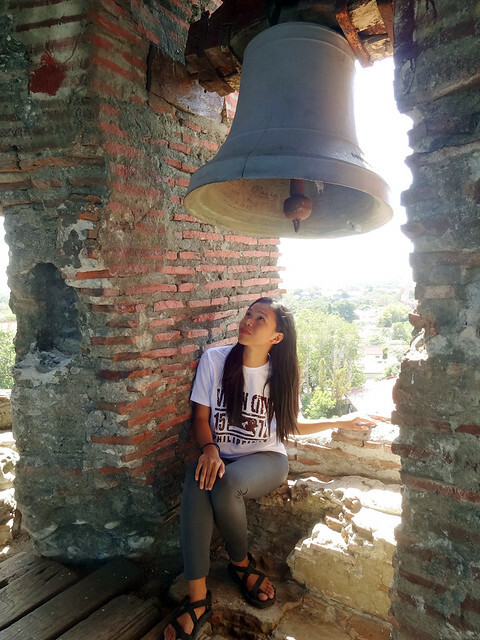 Although it's already found outside the bounds of Vigan City, Bantay Bell Tower of the adjacent town of Bantay is also a place of interest frequented by many tourists. It's just 10-15 mins walk from the central plaza of Vigan City. Saint Augustine Parish Church, commonly known as Bantay Church. Tourists usually go here not to pray but to reach the top of its bell tower. 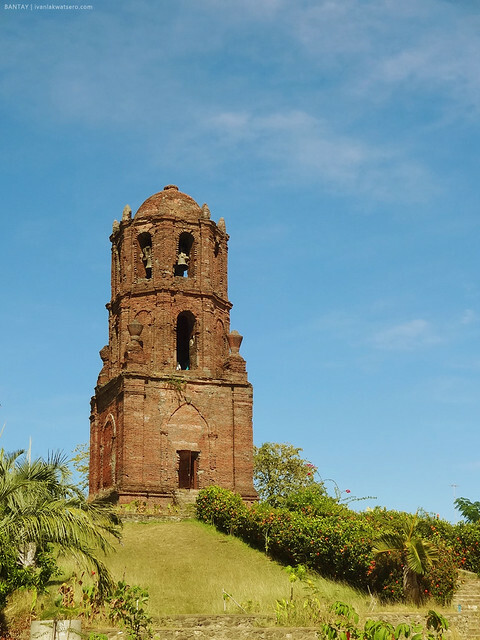 The famous bell tower of Bantay town. Since the bell tower is situated on an elevated place in Bantay, the nearby towns and mountains can be viewed from the wide windows. From the brick tower, we headed back to central plaza to munch on another local food. Right in front of the provincial capitol, is a row of food stalls selling Ilocos empanada. At 12 noon, we checked out from our hotel then dropped by the public market to buy pasalubong. 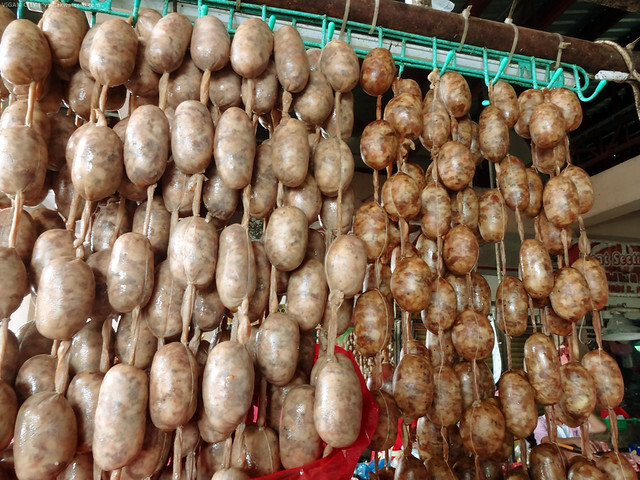 The local longanisa would make a good pasalubong for the love ones at home. 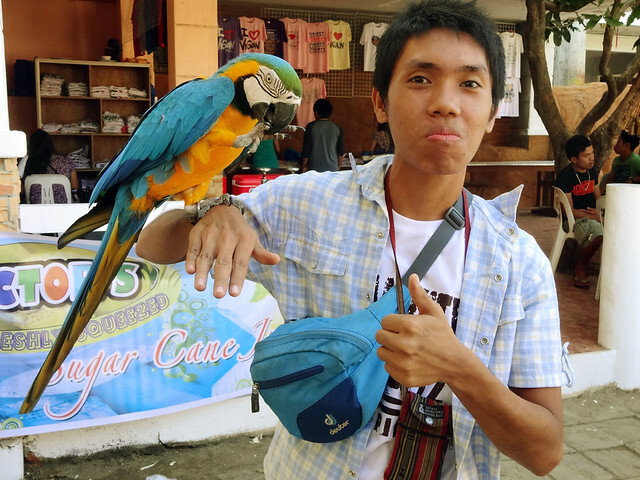 From the market, we then rode a trike to Baluarte. It's a zoo developed by Gov. Chavit Singson for the people of Ilocos Sur. It's open for everyone. Libre, walang bayad. I've been here once before, but wasn't able to get a good photo with the tiger. Hopefully, we'll get one this time. The public zoo is specially known for its tigers and birds. But it is also home to a number of animal species. 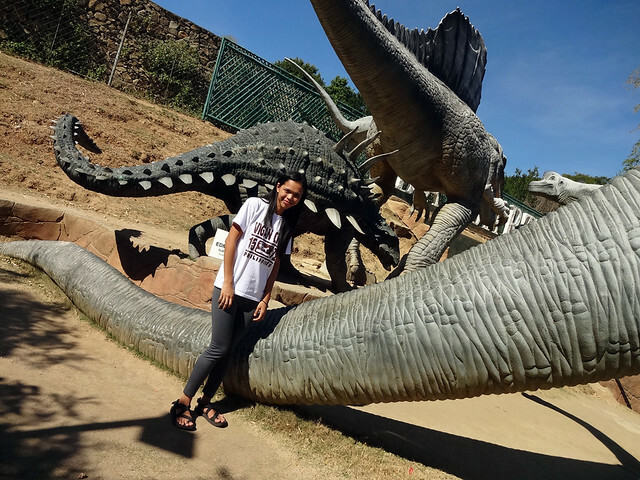 There are snakes, huge birds, deer, and a lot more. 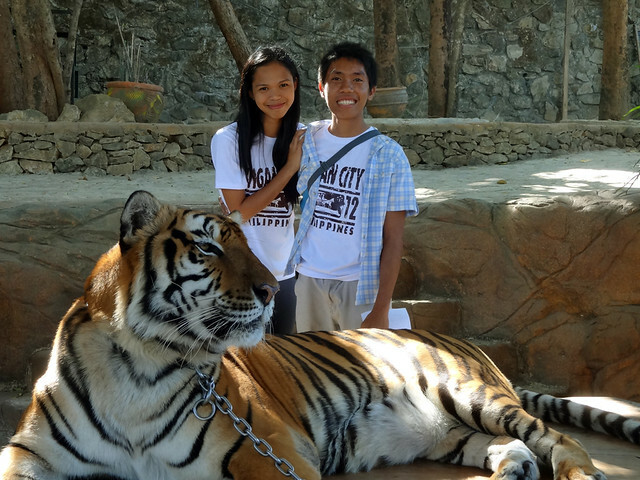 Of course, an obligatory snapshot with Chavit's tiger. There are also dinosaurs in the place, so better watch out. 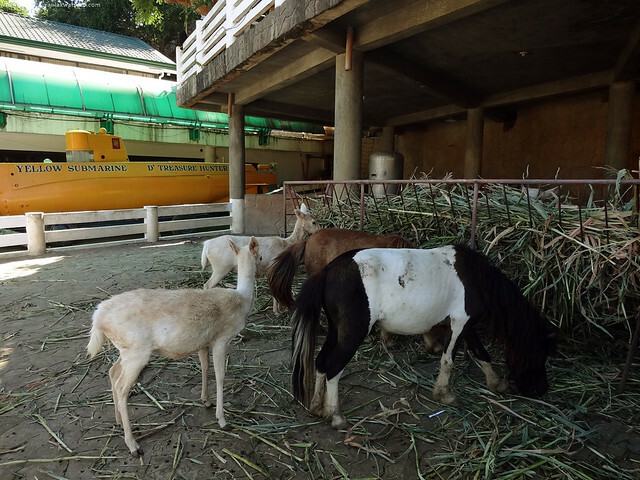 We spent a quick but sweet time with the animals at Baluarte. 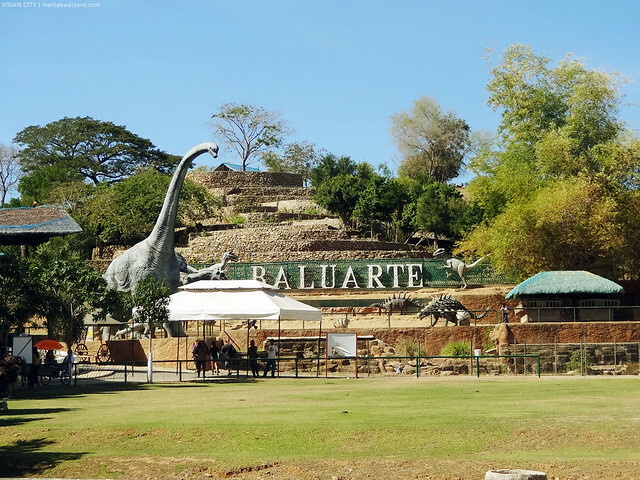 If you're a fan of tigers and birds, and want to have a good photo opportunity with them, then Baluarte is for you. The entrance is free din naman so go for it. 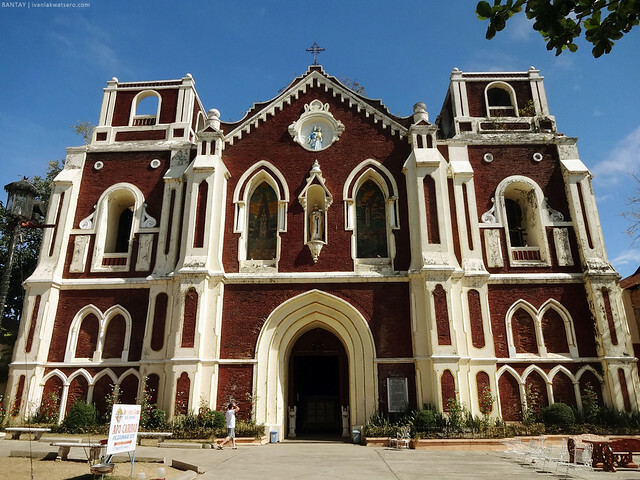 There is one last destination we wished to visit before jump into a bus bound for Manila, and that is the big big church in the town of Sta. Maria. At first, we were unsure how to get there, but my instinct tells me to take a jeep to reach the place. Taking any south-bound bus can bring us there as well, but it was our last resort. 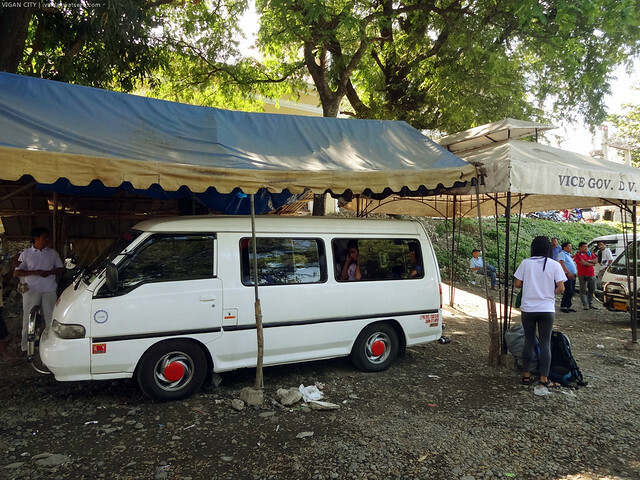 Sa pagtatanong namin sa paligid, we were directed to the van terminal located just beside the Provincial Capitol. There are vans plying the route to the town of Sta. Maria. Travel time is more or less 30 minutes. 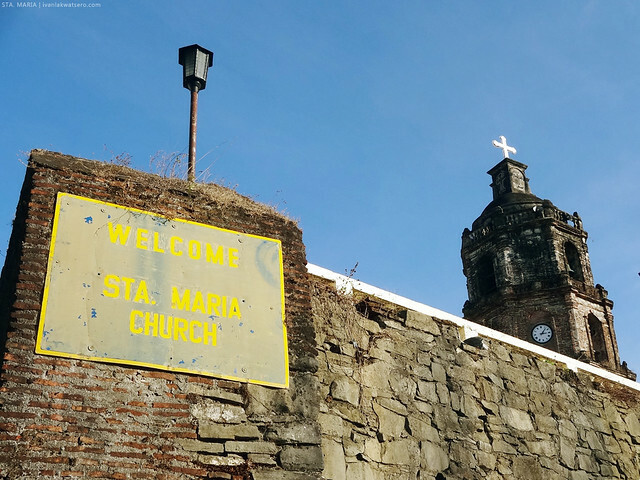 So what's so special about this church that made us want to drop by the town of Sta. Maria? Well the fact is, it's one of the four churches in the Philippines considered a World Heritage Site by UNESCO. 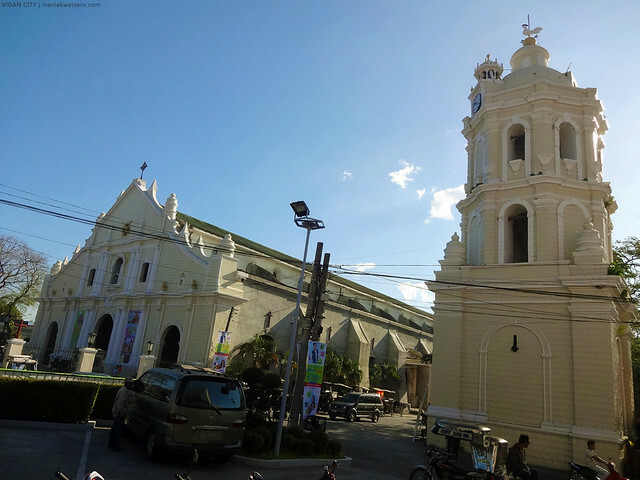 The other three are San Agustin Church in Manila, Paoay Church in Ilocos Norte, and Miag-ao Church in Iloilo. Built on top of an elevated plot in the town of Sta. Maria is the Church of Our Lady of the Assumption, or simply Sta. Maria Church. Many churches in the Philippines, and for sure in other parts of the world, are built on top of a hill so it can serve two purposes—first, hills in Catholic belief are a holy place, and second, civil guards may use the bell tower in turn as a watch tower to watch over the town. 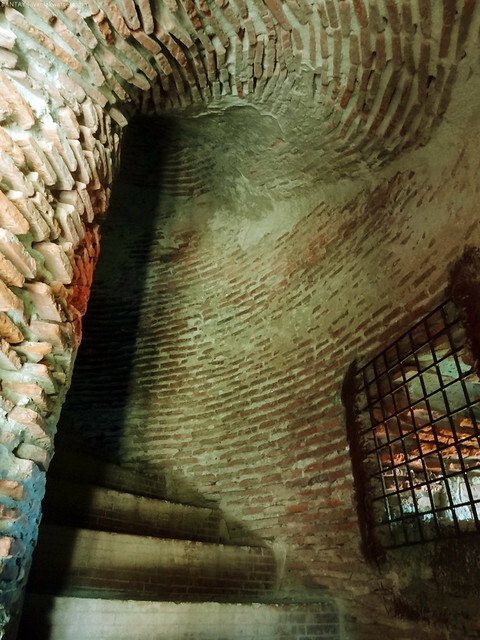 Having said that, we had to take the steep brick stair steps up to be able to reach the church. My jaw dropped the moment I came in front of the church and laid my eyes on it. 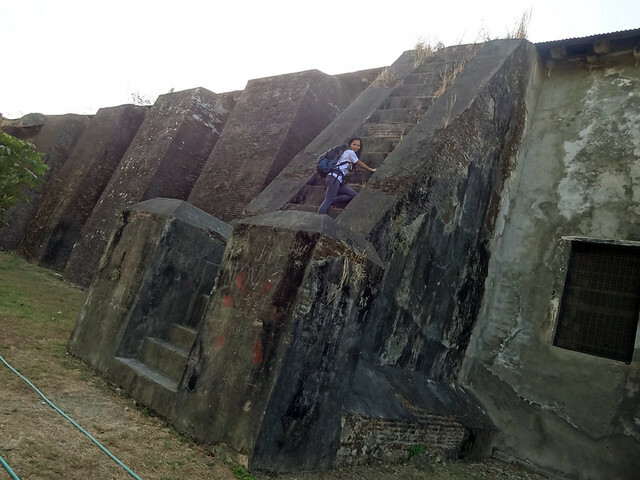 The structure is impressively huge! Manliliit ka kung tatayo ka sa harap ng simbahan. the humongous size of Sta. Maria Church. Mapapanganga ka sa laki. I wished to check the interiors of the church as well, but it was unfortunately closed by the time we're there. We tried to check the vicinity if there's a way we can get inside, but unluckily there's none. Oh well, mission getting inside the church was a failure. But that can't stop us from munching this delicious Ilocano empanada. Yum yum. 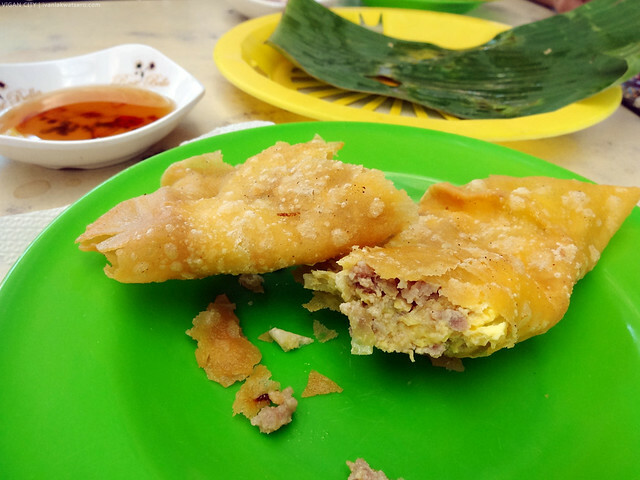 Naisip ko lang bigla, bakit nga kaya orange ang kulay ng empanada, just like our favorite tokneneng and kwek-kwek? 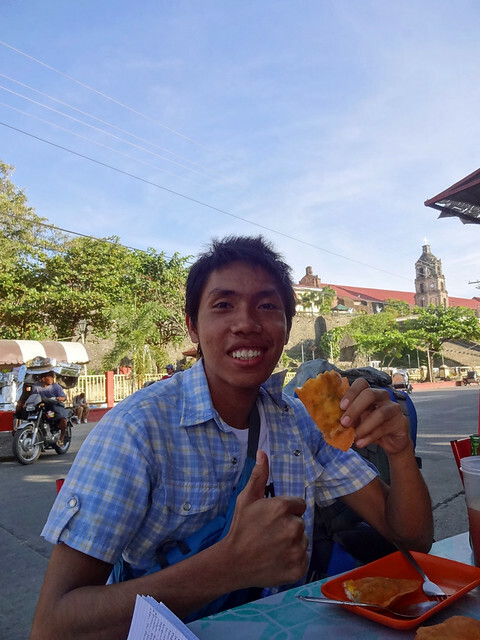 Anyway, as soon as we finished the orange empanada, we took the next bus bound for Manila that passes by the road behind us. Haaay, back to reality. i forgot how i found your blog, but i'm glad i did find it. i enjoy reading about your adventures. please keep up the great work! Hi, I'm Jennifer from Bacolod City! I've been searching the net about DIY trips to Ilocos and happened to found yours. Ang ganda ng post nyo po! Looking forward to have a successful trip like you had. May I ask if how much yung budget nyo? We're on a budget trip and looking forward to enjoy it. BTW, we have same dates of trip. Next year pa naman po yung sa amin. Ask ko lang po if it's easier to commute from Pagudpud to Laoag and Laqoag to Vigan? Do you have any idea about that??? We're from Visayas kaya super foreign nung Luzon sa amin. It'll be our first time in Luzon and we plan to spend it in Ilocos. Hehe.. I hope you'll read my comment. Thanks!